Extracts from exhibition curator Tse Hao Guang, taken from “Don’t Forget” by Pooja Nansi, a poem performed in her one-woman show You Are Here (2016). 2. A recording by Pooja Nansi reading her own poem, “Language”. 3. 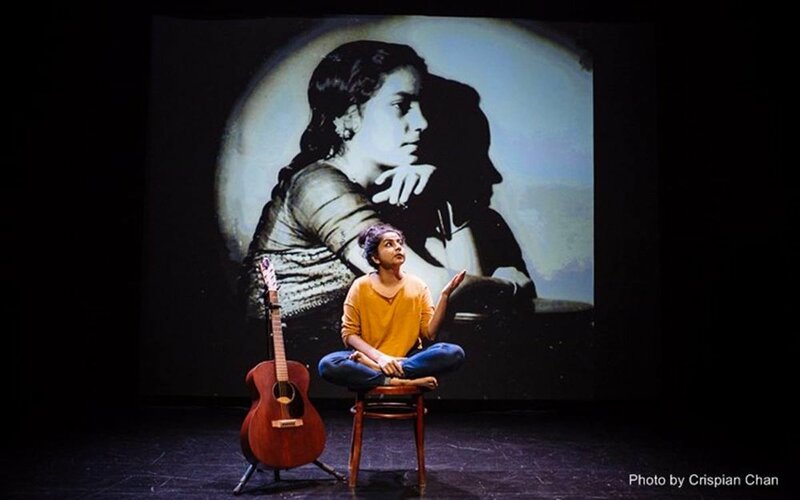 A photograph of Pooja Nansi’s own annotations on her script of You Are Here, for which “Language” was performed. 4. 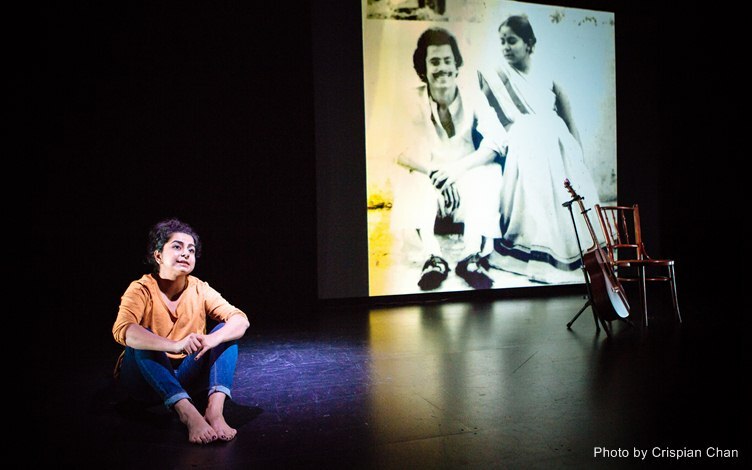 Photographs by Crispin Chan, of Pooja Nansi’s first staging of You Are Here.